Honestly, I don’t get real excited over chamomile tea. In fact, I usually cringe when I receive some. It isn’t that I dislike chamomile; it’s just that it isn’t my favorite herb to brew. So needless to say, chamomile is not something that I drink very often. But sometimes, I really need to relax and unwind, and no other tea or tisane that I’ve tried promotes a sense of calm better than chamomile. And, the flavor of this chamomile is quite pleasant! Byron Bay Tea Company does not specify from where they obtain their chamomile, but the blossoms are whole, large, and not at all dusty. The chamomile smells fresh! It has a light, clean smell to it that is a little floral and a little fruity. The flavor is delicate and sweet, with hints of an apple-like taste. Although it is a flower, chamomile doesn’t really come across as floral in flavor to me, although I do note some pollen-like notes here. Not a dusty kind of pollen, but more like a sweet, honey-like pollen. 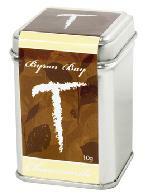 This gentle tisane is just perfect for those times when I need to relax. It’s an excellent chamomile! As soothing as a field of daisies, Cozy Chamomile® Herbal Tea is a wonderful way to unwind and relax any time of day. I’ve never made any secret of my apprehension when it comes to chamomile. This hesitancy stems from the fact that I’ve encountered several chamomile teas that were nothing but pollen-like dust and, when brewed, the flavor is quite … gross. Since those horrible encounters with chamomile, I have come to realize that not ALL chamomile tea tastes like that. 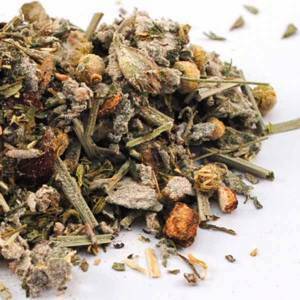 There are many chamomile teas are quite tasty, in fact, although I will admit that my preference for chamomile is still when it is blended with other ingredients and I am still rather hesitant when it comes to chamomile-only tisanes. 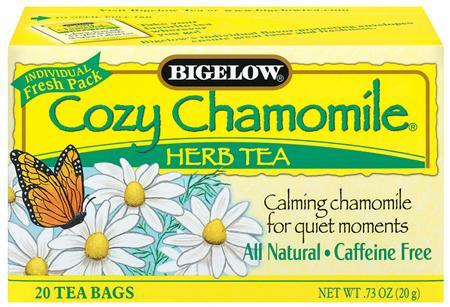 So, it should come as no surprise that it took months for me to finally muster up the courage to try this Cozy Chamomile from Bigelow. I was certain… just CERTAIN that what I would be tasting would be a dusty, pollen-esque cup of chamomile. Boy, was I wrong! This is really quite delicious. The chamomile in the tea bag is finely chopped (not whole flowers), BUT the tisane does not brew up to a murky consistency (indicative of the dusty chamomile I mentioned earlier), and, even more importantly, it doesn’t taste like the dusty chamomile that horrified me some years ago. The flavor is light and apple-sweet. It has such a tranquil taste to it – gentle and soothing. It’s kind of like a lullaby! I find I prefer the tisane with a little drizzle of honey or agave nectar to bring out the apple tones to the chamomile. I have often spoken out against tea bags, but, Bigelow is a company that never ceases to impress me! Yes, IMPRESS me! I find myself expecting very little from them because it is a bagged tea, but, every time I’ve tasted one of their teas, I’ve not only had my expectations surpassed, but I end up becoming quite fond of the tea that I’ve tasted from them. This tisane is no exception to that. Need to take a Chill Pill to calm you down? This infusion is full of Vitamin C, antioxidants, and the wonderful soothing benefits of high quality herbs. You’ll love the orange / chamomile flavor that’s sure to calm you down on your stressful days, and help slip you off into sweet dreams at night. This is a very pleasant blend from Compass Teas. If you’re like me, you cringe at the thought of chamomile. As I’ve confessed before, I used to really dislike chamomile, but, I have developed an appreciation for it. 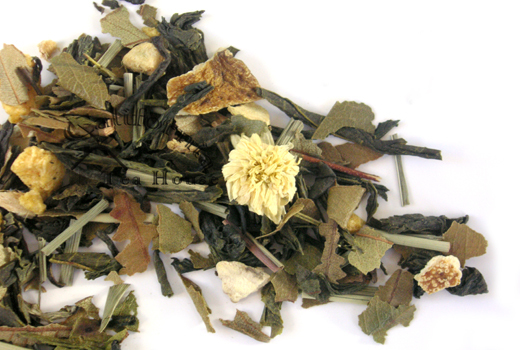 I still don’t like the chamomile dust that is sometimes found in substandard tea bags from the local grocery store, but, in whole leaf blends like this one from Compass Teas, the whole chamomile blossoms are quite agreeable. In fact, if I hadn’t read the ingredients and saw the chamomile blossoms in the blend when I measured it into my smart tea maker, I wouldn’t have known that this is a chamomile tisane! 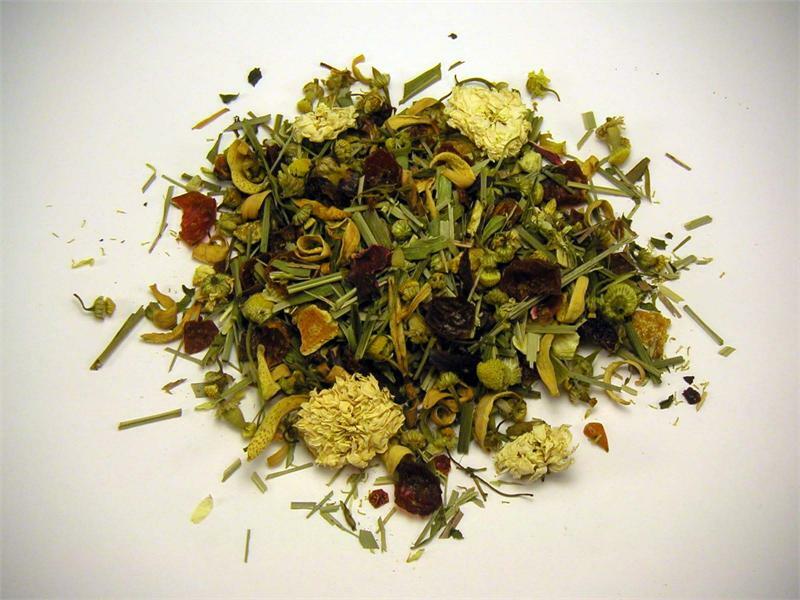 The flavor of the chamomile is quite soft and melds almost seamlessly with the citrus flavors of this blend. The overall flavor of this tea is quite mild and in keeping with the “Chill Pill” kind of attitude. 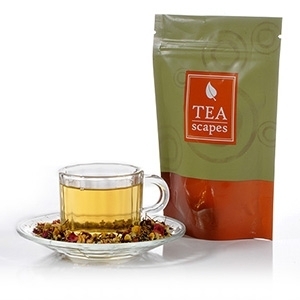 I previously reviewed this tea, and I am finding it every bit as enjoyable now as I once did. This is a nice alternative to those who are looking for a soothing, relaxing tisane before bedtime but think they don’t like chamomile! Wow! This is good! Surprisingly good! Why surprising? Well, here’s the thing – I ordered this because it sounded different. I liked the name. Tulsi Harmony. But the truth of the matter is, I have only tried a couple of tulsi teas/tisanes, and while I enjoyed them quite a bit, tulsi still scares me just a little bit. I don’t know why it scares me, it just does. Well, hopefully this tisane will put my fears to rest and let me celebrate tulsi! Because this is so good. 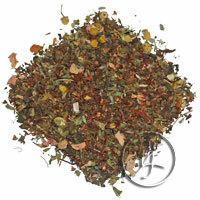 The tulsi is the strongest flavor here – and it lends a somewhat spicy character to the cup that is similar to cloves. The ginger is very soft here, offering mere hints of its characteristic peppery nature. The cinnamon is a little stronger, and it is a sweet yet spicy cinnamon. These spicy notes are not over-the-top or in-your-face spicy, rather, they are quite … harmonious! The rooibos is one flavor that is lacking in the cup. I am not getting a lot of rooibos rather distinctive woodsy/nutty flavor. But, as I’m not a huge fan of the woodsy flavor of rooibos, I am not missing it. I can, however, distinguish the other flavors here – the chamomile, the lavender, the rose and the lemon verbena. These aren’t strong contributions to the overall cup, but, I can taste subtle hints of each ingredient. And I think that is what I like best about this tisane. It has a complexity that is rather uncommon in tisanes. It offers an interesting and delicious taste. I’m very glad I decided to try this today!